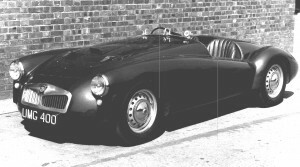 An MGA sports car has the classic look of the period, smooth flowing lines, plenty of bright chrome plating and a simple but functional cockpit layout. 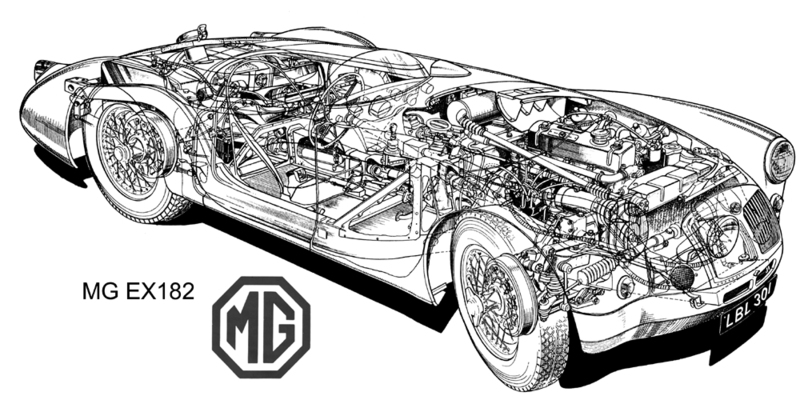 More than fifty years on the car still looks “right”, so how did the design come about? Click on any picture to view a larger image. 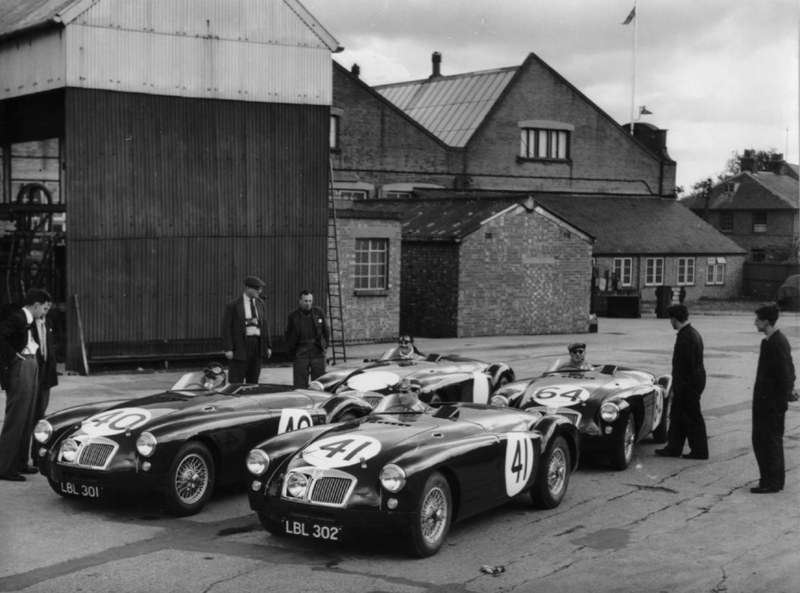 The MG Car Company had its factory in the town of Abingdon in Oxfordshire, England where, in 1951 Chief Designer Syd Enever built a streamlined body as a “one off” for an MG model TD to be driven by George Phillips in the Le Mans 24 hour race. Although it was designated by the the factory reference “EX176“, this car is more commonly known by its registration number UMG 400. To this concept, a new chassis was designed as the basis for a production sports car aimed at the North American market. 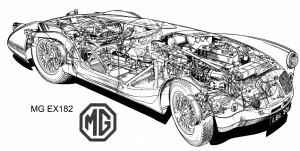 Project Number “EX175” was to be the replacement for the MG TF series. Two prototype chassis were built and one of these, registration number HMO 6, was developed into a vehicle for road testing. 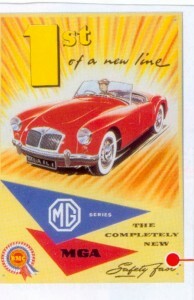 During 1952, internal politics at the British Motor Corporation led to the initial rejection of the “EX175” project in favour of the Austin-Healey 100/4. 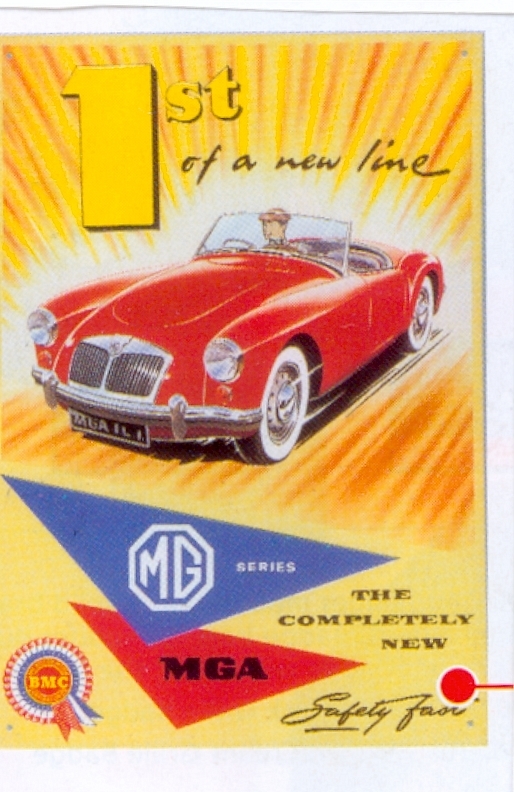 However by 1953 the falling sales of the TF model were the trigger that gave the go ahead to build the car which was to be called the “MGA”. The Works had planned to enter the new car in the Production car Class at Le Mans 1955 but delays in the production run forced a change to the Prototype Class. Four cars were prepared for Le Mans under the project number “EX182”. Three of these took part in that fateful race, one crashed the others finished 12th and 17th overall. 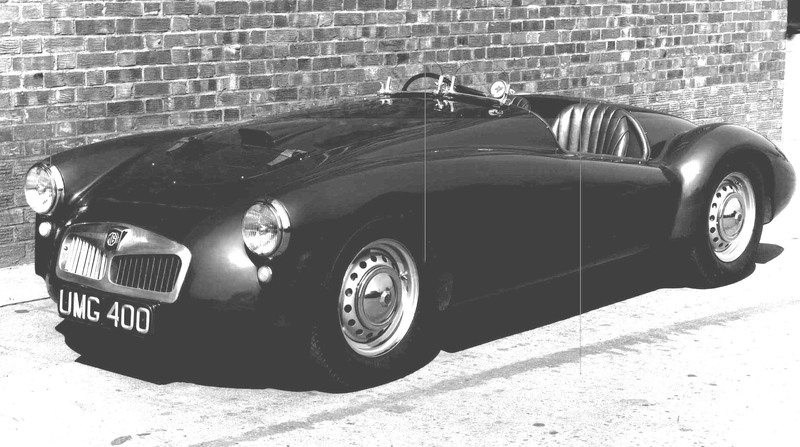 By September 1955 the MGA with its 1500cc engine, the new BMC “B” series, was ready to be launched to the world’s the press . The rest is history, over the next seven years more than 100,000 MGAs were sold, variants include the coupe, Twin Cam and De luxe models.